Facebook seems to have overcome the ad revenue dilemma that plagued its initial public offering a year ago, thanks to significant mobile ad revenue growth. 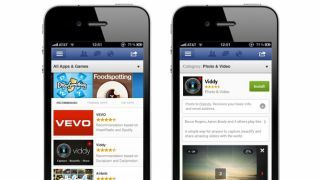 Reporting its second quarter 2013 earnings, the top social networking company announced that 41 percent of its advertising revenue came from mobile ads in that time. "Soon we'll have more revenue on mobile than desktop," said Facebook CEO Mark Zuckerberg during the company's earnings call. "We now have more daily [active users] on mobile than on desktop. Nealy half a billion people use Facebook on their phones every day." Facebook's impressive mobile returns go into the pot of total revenue, which it announced as $1.81 billion (about £1.18b, AU$1.95b) for the three-month span ending June 30, an increase of 53 percent year-over-year. Facebook continues to make money off of your peepers and clicks, with ads accounting for $1.60 billion (about £1.04b, AU$1.72b). It supplemented its main revenue with payments and fees for virtual items like games and gifts with $214 million (about £139m, AU$230m) in the second quarter. These better-than-expected mobile figures came despite the fact that Facebook can only show so many ads on devices with smaller screens, i.e. smartphones and tablets. The shift from the web to mobile users increased, with 819 million monthly active users on smaller devices in the quarter. When web and mobile were combined, Facebook had 1.15 billion monthly active users in that same time frame. Zuckerberg made a point to say that this includes teens, as the company is constantly combating reports that its popularity among younger demographics has been slipping. "One specific demographic I want to address is U.S. teens," he said. "There's been a lot of speculation that fewer teens are using Facebook. But based our our data that just isn't true." "We believe that we have close to fully penetrated in the U.S. teen demographic for a while and the number of teens using Facebook on a daily and monthly basis has been steady over the past year and a half." They remain "really highly engaged" when using Facebook, according to Zuck's data, and these numbers don't include the company's Instagram product that's popular with young amateur photographers. Of course, he noted that measurements in this area aren't perfect as some pre-teens tend to lie about their age. To sign up for Facebook you must be at least 13 years old. Zuckerberg looked at Facebook's next five to 10 years during the call and what it would take to reach the next five billion people on the social network. "There are three main goals I'd like us to achieve," he said. "Connect everyone, understand the world, and help build the knowledge economy." Most people on Planet Earth don't have smartphones or data plans, noted Zuckerberg, but they still have the desire to share and be connected on Facebook. In addition to looking beyond developed countries, the CEO wants text and photo updates that dominate users' updates to carry more meaning in an effort to "understand the world." According to Zuck, this includes "long-term knowledge about the world like what people are interested in, which restaurants are good, which hotels your friends have stayed at, and so on." "We want to lead our community to create a graph of all that understanding to power that intelligence." Building the knowledge economy is something Zuckerberg calls a core part of Facebook's mission, as the advertising platform not only helps his company reap billions, but also helps brand awareness for other business out there. Read about how Facebook Graph Search is now open to the public.